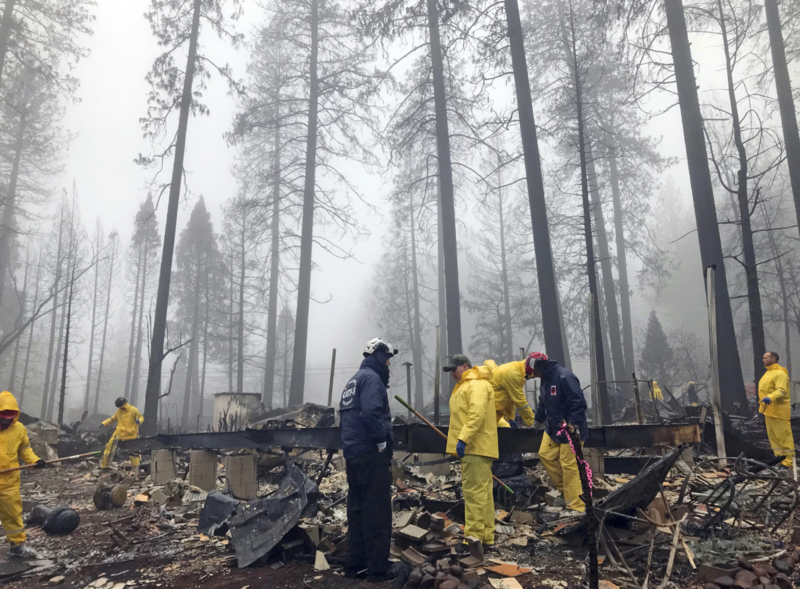 Volunteers search through the damage in Paradise Calif. during November's Camp Fire. FEMA trailers, marijuana and emergency shelter all figured large at Tuesday night’s Chico City Council meeting. Some 48 fire evacuee families will be given keys to new manufactured homes on Chico’s southern edge under a Federal Emergency Management Agency plan that was unveiled to locals and elected leaders last night. The council cannot veto FEMA’s decision. Though some locals groused that traffic is already heavy and worsening in the area, others demanded substantially more interim housing. The units would be placed in the Hegan Lane Business Park, an industrial zone. They won’t be available right away. FEMA representative Daniel Horvath said it takes time to bring drinking water supply lines, extend sewage service and connect electrical lines to the 13-acre site and to the Manufactured Housing Units, or, what FEMA calls MHUs. “The average between site identification till finally moving the first HMU on, on average that’s about four months,” Horvath said. The council again took up marijuana, with newly elected vice mayor Alex Brown launching yet another push to allow legal sales of the substance within city limits. But, despite years of hearings, ordinances, repeal battles and voters statewide largely decriminalizing marijuana, a decisive local move proved elusive. The council instead created an advisory committee to draft suggestions for future review. A proposal to immediately allow marijuana delivery services withered. The statewide voter approved law easing marijuana laws in California, left ultimate power to local jurisdictions. Chilly nights and homelessness, also inspired action. Some residents, like Jeff Creed, chided the council, saying they’d be responsible for any deaths. Others, like Rob Berry, argued homelessness is a county responsibility. “Chico does not need to assume the full burden of every social problem that exists in this world,” Berry said. With many potential sites already pressed into service following the fire, city manager Mark Orme sought specifics. A large building-sized hard shell tent in a city parking lot was suggested. The council also authorized up to $100,000 in spending on emergency sheltering.